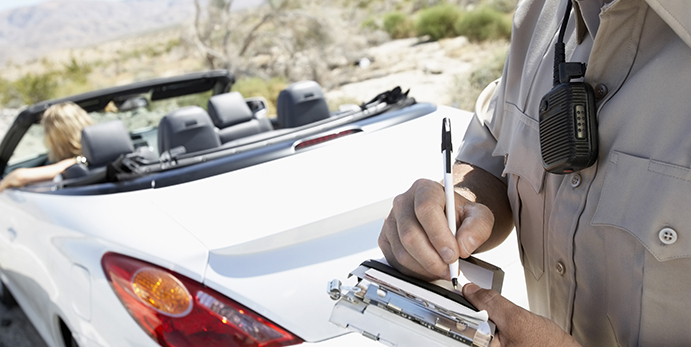 Stanislaus County motorists get about 60,000 traffic tickets each year. Between 10,000 and 12,000 ticketed drivers complete traffic school, so the Superior Court can dismiss points that otherwise would be reported to the Department of Motor Vehicles, and in turn result in higher insurance rates. And half of those traffic school students do it without leaving home, a court official said, by taking online classes that are promoted as fast and easy and fun. "They basically go through the vehicle driving manual, and you learn what you should have learned when you first got your driver's license," Stanislaus County Court Administrator Don Lundy said. Hundreds of online traffic schools have popped up since the mid- to late-1990s, and such courses now are allowed in Stanislaus, San Joaquin, Merced, Mariposa and Tuolumne counties. In Calaveras County, only classroom-based traffic schools, which have existed for decades, are permitted. Mary Tillery, who has coordinated a classroom-based traffic school at Modesto Junior College for 20 years, said demand for traditional courses is strong, despite the competition. "It hasn't really slowed up," she said. But online and home-study traffic schools now outnumber classroom-based programs by a 2-1 ratio. In Stanislaus County, the court has approved 40 online and 19 classroom-based programs. Steve Soldis, chief executive officer of TrafficSchoolOnline.com, said his Santa Rosa-based company was the first to offer online classes, beginning in 1997. He got the idea after getting a speeding ticket on Interstate 5 near Los Angeles. He now does business in 15 states, offering traffic school for $24.95. The competition is fierce, because hundreds of other online schools offer similar classes, Soldis said. But the market is big, because many people like the comfort and convenience of studying at home, he said. "If you want punishment, then let's put them out on the street to pick up trash," Soldis said. "But if you want to educate and create better drivers, then let's do it at home." Only minor infractions, such as speeding or running a stop sign, can be dismissed by attending traffic school. People who complete traffic school must pay fines in addition to traffic school tuition. And motorists may attend traffic school only once every 18 months. Classroom-based traffic schools are licensed by the Department of Motor Vehicles and must include 400 minutes (six hours and 40 minutes) of instruction. County courts decide if online programs, which require tests but let students work at their own pace, are adequate. In Stanislaus County, a consultant monitors approved courses. In the eyes of the court, online and classroom-based options are equals. But with online classes, a motorist never has to leave the information superhighway. "It's just a convenience to many people," Lundy said.